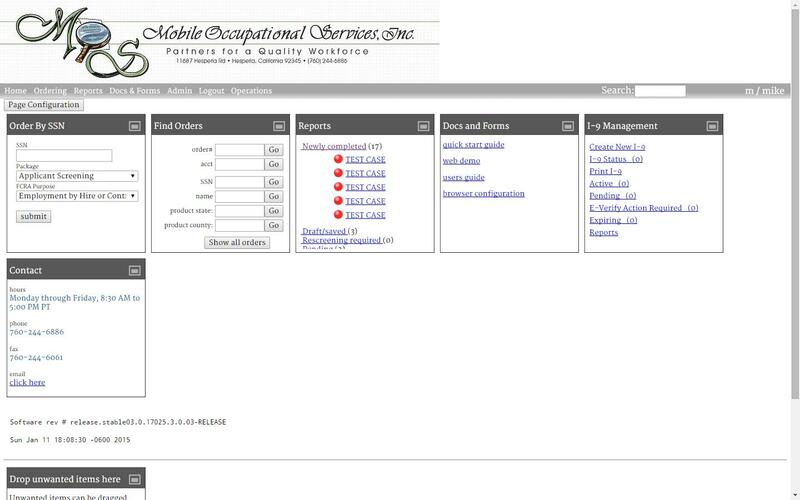 | Mobile Occupational Services, Inc. The new law stipulates in two sections that it will “Allow public and private employers to enact and enforce workplace policies pertaining to marijuana.” One of the sections is specifically dedicated to the rights of employers. Even without this stipulation, Federal Law still defines marijuana an illegal schedule I drug. Federal Drug Testing Programs, along with any State, County, or City employee will continue to be required to follow Federal Requirements. Many of the voters that were in favor of the legislation have no idea what is in the new law. This confusion by voters has left employers with employees making assumptions about what they can and cannot do in the workplace. Employers are quickly making sure they are pro-active with awareness information that the passage of the California Law will NOT CHANGE the requirements of there Drug Free Workplaces. We are encouraging employers to distribute notices and include information in Safety Meetings as soon as possible. The law will not change your programs and you are not required to change or accommodate any marijuana usage, possession, sale, or other association as stipulated in your policy. The two key portions for employers to note are in Section 3(r) and Section 4 – 11362.45(f). Section 3 specifically acknowledges that employers are allowed to enact and enforce workplace policies, while Section 4 gives a full explanation of the rights of employers and addresses any changes made to the California Health Safety Code. The section, in summary, says the new law will not affect the rights of employers. Despite the confusion of many voters in favor of the law, employers are not required to accommodate any misinterpretation of the new law. However, in an effort to promote safety and a quality workforce, we are encouraging employers to continue to educate employees on the dangers of use and help employees to understand that conduct outside the workplace can have adverse consequences in the workplace based on their employers’ workplace policies. A complete copy of California’s Marijuana Law can be found HERE. If you are interested in scheduling an employee awareness class as part of your next safety meeting or if you have any other questions, please contact us at 760-244-6886. The Colorado Supreme Court ruled on June 15, 2015 that Colorado employers do not have to accommodate marijuana use in there company policies. This gives employers the ability to terminate based on use. This ends any debate over employer enforcement of no marijuana use in Drug Free Workplace Programs and sends a message nationally that employers should have the right to enforce policies regardless of any recreational or medical marijuana legislation because of the requirements of Federal Government. Marijuana is not a Federally legal drug, therefore employers can establish policies that follow Federal Guidelines. The ruling was based on Coats v. Dish Network. Brandon Coasts argued that his employer violated state law after terminating his employment for using medical marijuana after work, because he was with in the guidelines of Colorado State Law. After an appeals court upheld a decision that Coat's claim against his employer be dismissed the Colorado Supreme Court reaffirmed the lower courts. The court explained that marijuana use can't be considered lawful because it violates Federal Law. SAM President Kevin Sabet explained; "This is a victory for every community that does not want to accommodate pot shops and every business owner that cares about safety and health". Despite the fact this was not a Federal Supreme Court Ruling, this does send a clear message and should help in future employer battles against opposition to drug testing policies and the use of marijuana. This action is based on a finding by the Administrator that the placement of these synthetic cannabinoids and their optical, positional, and geometric isomers, salts, and salts of isomers into schedule I of the CSA is necessary to avoid an imminent hazard to the public safety. As a result of this order, the regulatory controls and administrative, civil, and criminal sanctions applicable to schedule I controlled substances will be imposed on persons who handle (manufacture, distribute, import, export, engage in research, or possess), or propose to handle these SCs. Read the full Federal Register. The Drug and Alcohol Testing Industry Association (DATIA) recently published an article explaining the importance of confirming all testing with a laboratory. Mobile Occupational Services has always believed in LABORATORY TESTING ONLY. Other industry members use instant or point of collection testing kits (we call them quick kits or shake up kits). These instant kits provide an "instant" result without a laboratory. We have found that despite claims by the manufactures they are not as reliable as a laboratory and are easily compromised by simple things like storage temperature prior to use, expiration dates, adulterant use, and even over the counter medication use. For these reasons we have ALWAYS believed in the use of a laboratory for complete testing. These standards protect the employer and the employee. DATIA's article explains that those that have been using instant kits and not confirming results with a laboratory, are running into legal issues. Issues so large that it is compromising their liability insurance. This points to issues of the instant kits showing false positives or other issues of invalidity for a donor....ANOTHER REASON TO ALWAYS ONLY USE A LABORATORY. Below is the news bulletin by DATIA for reference. When performing laboratory drug testing, the standard practice is and has always been to perform a screening test and then perform a confirmation test (using GC/MS or a similar technology) on all specimens that screen non-negative. When point of collection drug testing (POCT) kits first entered the market, there was much debate on their accuracy. At that time, DATIA issued a policy statement indicating that it endorsed the use of POCT devices provided that all specimens with non-negative results are sent to the laboratory for confirmation testing. The reason being is that the technology used in POCT devices is much like that used for laboratory screening tests. As such, negative POCT results can quickly and easily be reported out allowing employers to quickly put people to work. While POCT devices do show a “positive” result, it is important to note that that finding is based on technology using much higher threshold levels. Only with a more precise, laboratory confirmation method such as GC/MS can one be confident in the positive result. Furthermore, should the laboratory confirmation result be positive, the result should be filtered through an MRO for final verification. These industry standard/best practices are set to protect the employer, the employee, and the service provider. DATIA worked in its early years to develop a professional liability insurance program to help protect and support industry service providers in the case of legal actions against them due to services offered. Over the past year, the number of insurance claims made and paid out has increased substantially. What’s troubling is that the vast majority of cases are due to results being reported out based solely on screening/POCT device results. Clearly, these practices do not represent industry best or even standard practice. DATIA’s professional liability insurance program for the drug testing industry serves a great benefit to those members who utilize it. Unfortunately, due to the high number of claims for reporting results based solely on screening results, DATIA’s policy and many others are in jeopardy and as such are now including in the policy that only results reported after being confirmed are covered under the insurance policy. This requirement is needed to continue these insurance programs and to continue to support and protect those that are following industry best/standard policies. DATIA continues to completely endorse the use of POCT devices as they provide a great benefit in so far as reporting out negatives quickly and efficiently. DATIA does, however, continue to stand by its best and standard practice that all specimens with non-negative results need to be sent to a laboratory for confirmation testing. In CFR Parts 383, 384, 391 the FMCSA now requires Certified Medical Examiners (MEs) to be performing physical examinations on drivers of commercial motor vehicles (CMV) and to use a newly developed Medical Examination Report (MER) Form. In addition, MEs are required to report results of all completed commercial drivers' physical examinations (including the results of examinations where the driver was found not to be qualified) to FMCSA by close of business on the day of the examination. This includes all CMV drivers who are required to be medically certified to operate in interstate commerce, not only those who hold or apply for commercial learner's permits (CLP) or commercial driver's licenses (CDL). 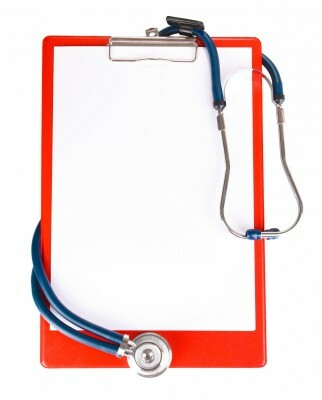 Be sure the person conducting your company physicals is a Certified Medical Examiner and is listed on FMCSA's list of those certified and is following all new requirements. Any physicals conducted by non-certified personnel will not be valid.